"Outlander," starring Sam Heughan and Caitriona Balfe, will return for at least two more seasons on Starz. Outlander will return to Starz for at least two more seasons. The network announced Wednesday it will produce adaptations of third and fourth books in Diana Gabaldon’s bestselling novel series. In its release, Starz said, “this is the first multi-book pickup for ‘Outlander,’ assuring the series will run for several more years.” The hit show currently is in the middle of its second season. New episodes air at 10/9c Saturdays on Starz. The show is executive produced by Ronald D. Moore and comes from Sony Pictures Television. “On this 25th anniversary of the publication of the first book in the U.S., we are thrilled and honored to be able to continue the story that began with author Diana Gabaldon, and is brought to life by the incredibly talented Ronald D. Moore. There are no better storytellers for ‘Outlander’ than this team, both in front and behind the camera,” Starz CEO Chris Albrecht said in the release. “Outlander” follows the story of Claire Randall (Caitriona Balfe), a combat nurse from 1945 who is married to Frank Randall (Tobias Menzies). While vacationing is Scotland, Claire is swept back in time to 1743 Scotland. She is forced to marry Jamie Fraser (Sam Heughan), a chivalrous Scottish warrior. She falls for Jamie, who is targeted by Black Jack Randall (Menzies), a sadistic British officer and ancestor of Frank. In Season 2, Claire and Jamie travel to France to help prevent the annihilation of the Scottish Highland life. The second season premiered in April and continues to rack up critical praise, fan love and ratings. Fans recently named “Outlander” the Most Bingeworthy Show of 2016 at the Critics’ Choice Awards. At the 2016 People’s Choice Awards, it was named Favorite Cable Sci-Fi/Fantasy TV Show. Balfe was named Favorite Sci-Fi/Fantasy TV Actress at the same event. The series also received a Costume Designers Guild Awards (CDGA) nomination this year. 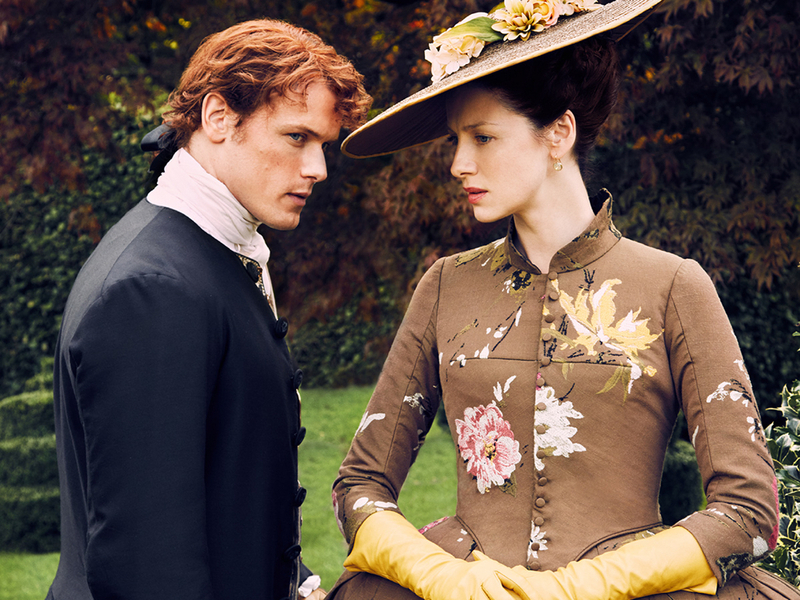 The first season of “Outlander” received three 2016 Golden Globe nominations, including Best Drama Series, Best Lead Actress and Best Supporting Actor. The “Outlander” second season premiere set a new Starz record for an original series/season premiere, more than doubling viewership over the first season. Through seven episodes in season 2, the series has rated second across all of cable among women 18+, Starz reports. “Outlander” is produced by Tall Ship Productions, Story Mining and Supply Company, and Left Bank Pictures in association with Sony Pictures Television.